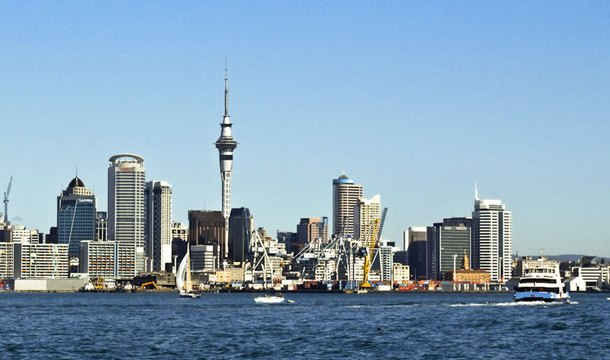 Auckland has the enviable (and rare) Southern Hemisphere asset of a north-facing waterfront. But is it making the most of it? A recent Auckland Conversation with global authority Brent Toderian set out to demonstrate how rethinking our waterfronts can transform our cities. New Zealand’s biggest urban centre has set itself a lofty goal, to become the world’s most liveable city, with ‘a public, connected and liveable waterfront that excites the senses and celebrates Auckland’s sea-loving Pacific culture and maritime history’. Its newfound design-led approach to transforming itself makes it a city-to-watch when it comes to waterfront urban design. Brent Toderian is an internationally recognised authority and practitioner, based in Vancouver, Canada. He consults for cities across the globe, from Sydney, to Helsinki, to Medellin. The hometown he was so influential in shaping consistently wins liveability accolades. So it seemed fitting that Auckland – with its aspirations – would want to hear what he had to say. Here are a few of the main points he shared. The costs of considered ‘density done right’ VS unplanned sprawl makes billions of dollars in difference over the lifetime of an urban plan. Vancouver set a goal: ‘A complete downtown and waterfront that is sustainable, resilient, liveable, healthy and vibrant’. Toderian noted that with its downtown bounded almost entirely by water, the city rejected encircling it with highways in the late 60s, on the grounds that “it would’ve lobotomised our waterfront.” On the flipside, he says “not building freeways has supported Vancouver’s success”. This freed the city to build a mixed use waterfront that connects people to the water and to each other. Toderian likens building roads to solve congestion, to loosening one’s belt to address obesity. “It’s politically popular to build roads, even when they are expensive and don’t work.” Vancouver’s policy since 1990 has been to not build any new road capacity. Instead, it prioritises its urban transport thus: 1. Walking. 2. Cycling. 3. Mass transit. 4. Goods and services vehicles, 5. Private cars. “When you design cities multi-modally, they work better for everyone including drivers. When you design cities for the car, they fail for everyone, including drivers.” Seoul is one city following this multi-modal lead, replacing a motorway with canals and shared spaces. With an emphasis at a national level on road building, Auckland has an additional challenge, but a design-led approach is already transforming pockets of downtown into successful shared spaces. Density, land use and urban design: combined, these do a lot of the mobility work, so there’s less onus on transport capacity, which is inherently expensive to build and maintain. Oslo waterfront area has 50:50 jobs to residents. This type of integration provides at least the possibility to live and work in the same neighbourhood. When planning for ‘nearness’ Toderian says it helps to think of cycling as extended walking – a way to extend speed and distance without having to use another mode. But cycling is more than just moving: it’s culture, texture and place making. He believes Auckland needs more ‘body heat’ (i.e. residents) on its waterfront. But these should not all be wealthy. He cites Helsinki as a leader in social equity – providing around half its waterfront residential space as either social housing or affordable subsidised housing. One essential principle of waterfront design, says Toderian, is to always retain a public edge along the waterfront. Blank walls kill walkability, so it’s vital to provide eye level interest along that edge that can be enjoyed at a leisurely pace. This strip doesn’t have to be all retail and hospitality: a good counterpoint to this commercial activity being slightly elevated residential units facing onto the street.